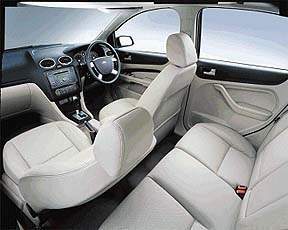 Berita Harian noted that the interior is similiar to the Volvo S40’s interior design. Not suprising actually, with both cars being actually based on the same platform. Berita Harian says the Focus will come in 1.8/2.0 sedan and 2.0 five-doot hatchback variants. Price is estimated to be around the Toyota Corolla Altis price range, about 120,000 ringgit. Check out Berita Harian’s review. I previously blogged about the Ford Focus here.